Thomas Robinson Architects have had recent coverage in two national magazines. We are delighted to be included in the Scottish Field magazine. The article highlights how we use centuries-old values to help our clients create new and unique properties that will be loved by generations to come. In the first edition of the new publication Scottish Property Magazine two of our projects were also featured. 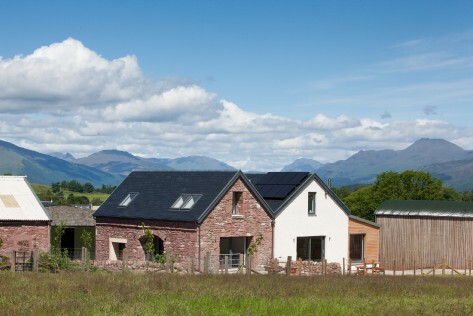 East Cambusmoon holiday Cottages Projects for which we won a Sustainability Award and Garden Cottage, Port of Menteith Projects - a conversion of a 19th century cottage for two writers.